Growing up my father was in retail and he usually worked everyday of the week but Sunday. He loved to barbecue , so every Sunday afternoon that is what he would do. When there was barbecue there was always yummy sides, baked beans were alway on the list . In my mind it is a necessary side dish so I took my mom’s basic baked beans and adjusted it . 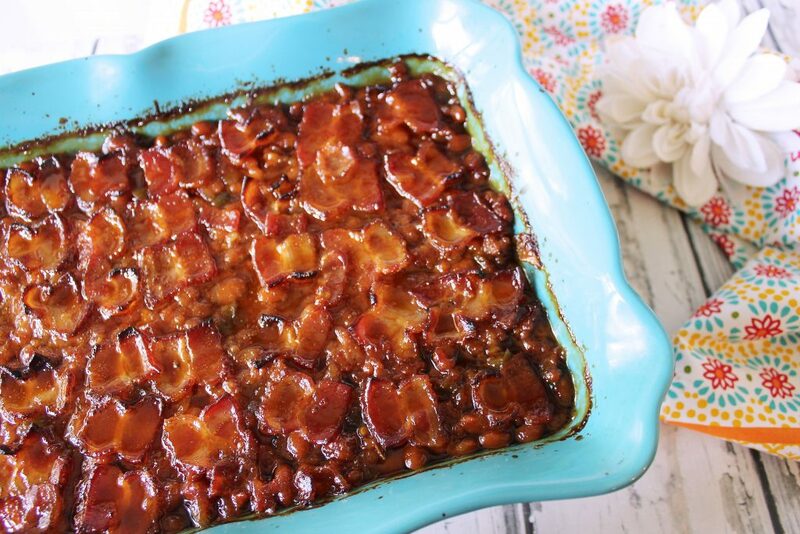 These Angry Pig Baked beans is a dish I came up with my husband in mind. He loves meat added to his baked beans and wants everything spicy. Since this was his cheat meal , I made it happen and boy they were GOOD.